I thought I would be able to send daily emails but it’s much harder than I thought. We spend the day busy in meetings with many people learning from them about these vulnerable children. And between those conversations and what we are witnessing it takes me time to process what I’ve been exposed to that day. I’m just trying to understand the culture and figure out why God has me here. I’m still unsure of the direction He wants us to go. I’m just patiently waiting. I say “patiently” but when I re-read my journals it’s more pleading with God for direction. I’m not looking for a “feel good” project for myself. I’m truly seeking the specific task at hand and why He has me here. I only want to be obedient to His calling and not create something for the applause of man. I want to be careful that I don’t start something that I can’t finish and hurt the people that I set out to help in the first place. Could you pray for the following things for me? 1. That God helps me to understand this culture and that issues that cause these young girls to be trafficked. 2. That God will give me the wisdom and direction to an specific area of Sierra Leone and a specific target of young girls that He wants me to be involved with. 3. That God will make evident that ministry relationships that He was us to be involved with and that He would protect us from those you would just want to profit from us. 4. That God would have mercy on these precious abused children and that He would provide a way out for them. I can’t express to you how much it means to me that you are praying for me. 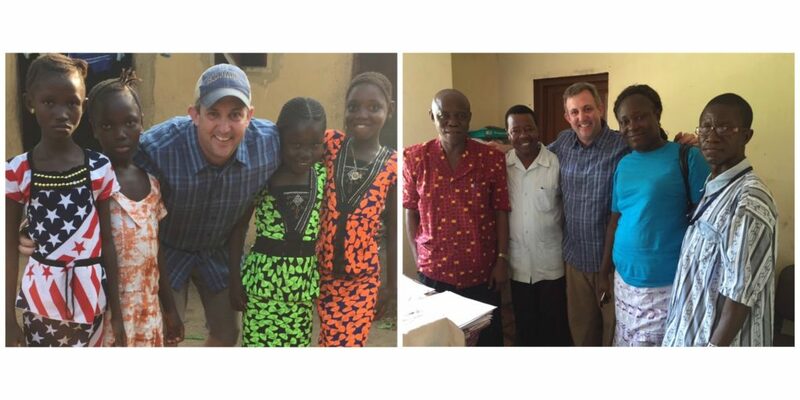 I’ve seen only one other white person (other than my missionary friends) since I’ve arrived to Sierra Leone. Yet I’ve never felt in danger, I’ve eaten whatever foods been placed in front of me and there is a peace knowing the God goes before me. It is because of your prayers.